Social media highlights this week: Sesame Street, General Assembly, Social Good Summit and more! What is it like to be at the UN during the busiest week of the year? UN officials, goodwill ambassadors and delegates explain in these new videos! How many hands did Ban Ki-moon shake on a typical day during the UN General Assembly? This CNN International video answers this question & more. @FCBarcelona President Sandro Rosell and UNICEF Executive Director Anthony Lake discussed their renewed alliance to improve the lives of millions of children around the world through sports and education. What was the final score from this week’s friendly football/soccer match between a team organized by Bolivia’s President Evo Morales and UN staffers? Watch and share this video to help spread the word why it’s crucial to end violence against women and girls. 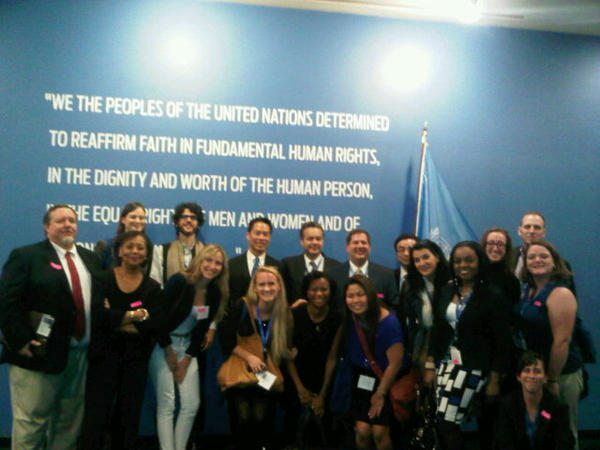 UN Foundation press fellows at UN Headquarters this week. Originally posted by @Njanati. 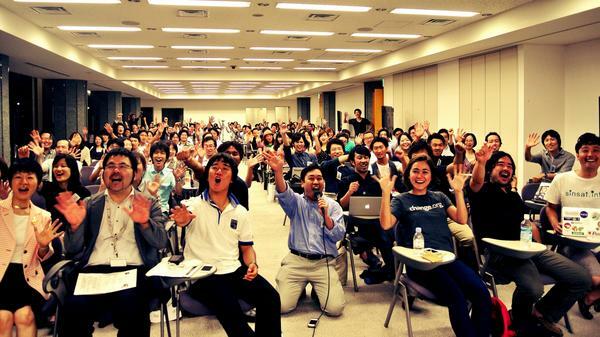 Hello from the Social Good Summit in Tokyo where participants used technology for social change. Photo shared by @global_convo. In this video shown at the Social Good Summit see how technology is changing the world for the better in Somalia. Video posted by @global_convo and @UNDPSomalia. 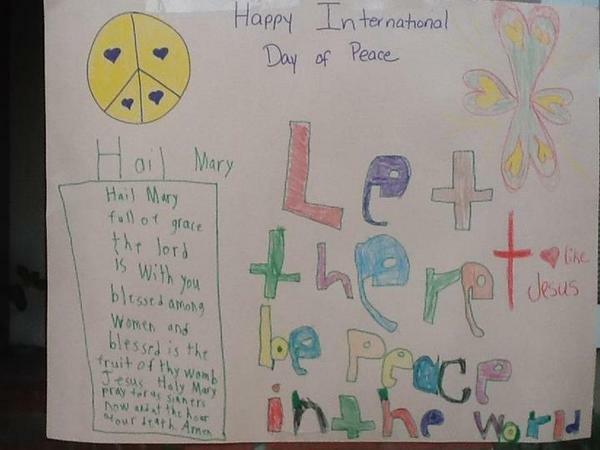 Thanks to @RachelsRants for sharing these drawings children in San Jose, California made for the International Day of Peace. 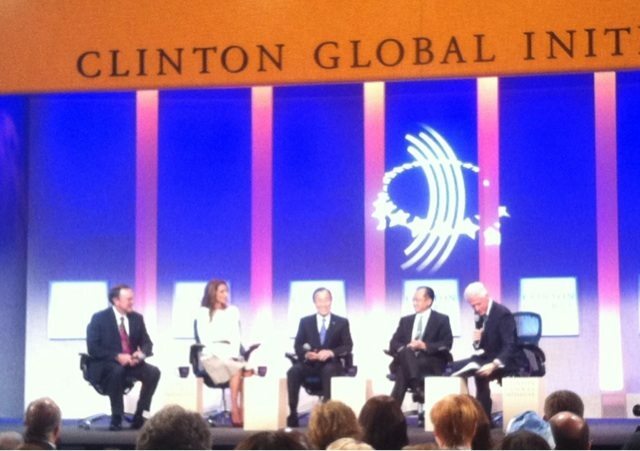 Secretary-General Ban Ki-moon took part in a Clinton Global Initiative panel featuring President Clinton, Queen Rania, and World Bank President Jim Kim and Walmart CEO Michael T. Duke. Photo posted by @shelterboxus. See why newly-appointed Special Representative for Sustainable Energy for All Kandeh Yumkella says energy can help end poverty in this @CNNI video. 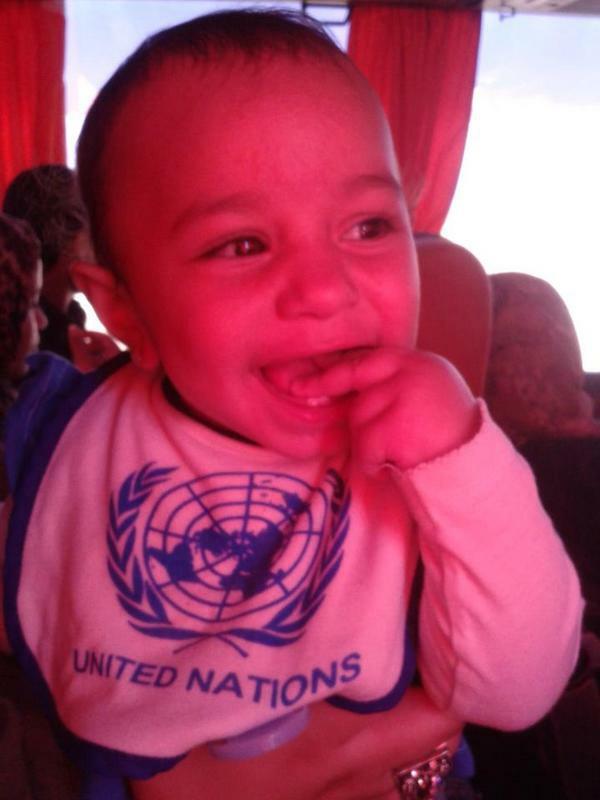 Thanks to @AmalAbdelatif for posting this photo of her niece — a young UN supporter! 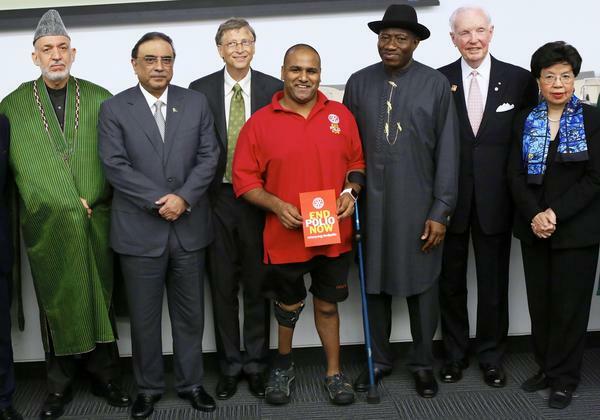 Polio survivor @RAMESHFERRIS posted this photo of his meeting at UN Headquarters with Afghanistan President Hamid Karzai, Pakistan President Asif Ali Zardari, MDG Advocate Bill Gates, Nigeria President Goodluck Jonathan, Rotary International’s Wilfrid Wilkinson and World Health Organization Chief Margaret Chan. More on this event from the UN News Centre. And, last but not least, Secretary-General Ban Ki-moon talked to Kami from South Africa’s Takelani Sesame about how kids can stay healthy and the importance of his Every Woman, Every Child initiative.